Please enter the name or word, up to nine characters. Heart shapes count as characters. A charming customized sterling silver bracelet (or anklet), this piece will be one you will turn to again and again. 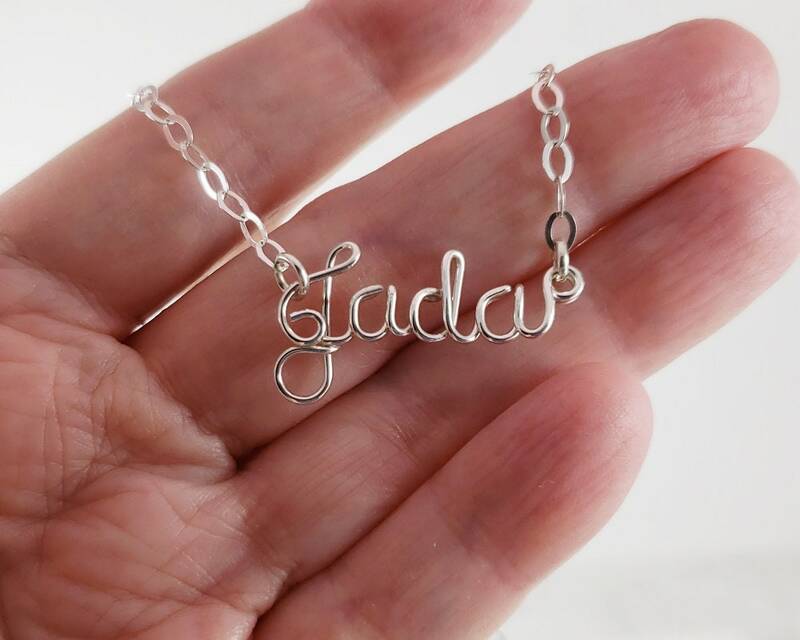 A single piece of .925 wire is looped into a delightful and beautiful name piece created just for you alone. Up to 9 letters. Comes with a lobster claw clasp. I need to know the proper spelling of the name or word including capital lettering in it's proper place. Please understand that I generally do not make a name with all capital lettering. They don't generally work out as well that way. It "can" be done, but if you want this please send me a message prior to purchase to discuss it. If you show me the name in all caps, I will capitalize the first letter only and make it with the rest lowercase by default unless you message me. Even prettier in person! Love it!